Welcome to Suddenstrike Ltd – Bird control and Bird proofing for Nantwich, Crewe, Winsford, Northwich, Middlewich, Sandbach and surrounding areas. 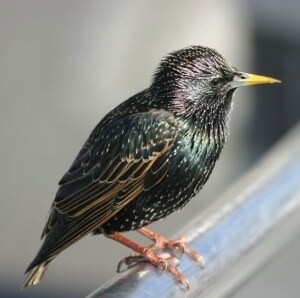 Birds such as pigeons and starlings can become a problem when they find their way into a building or loft space when looking for either food or just looking for somewhere to roost and shelter from the elements. 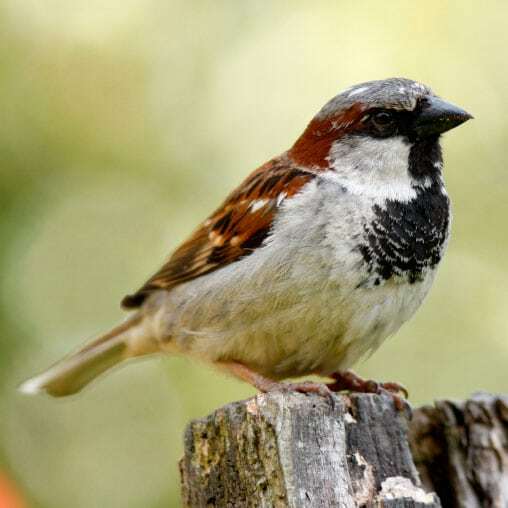 Although seemingly normal to the birds themselves, this causes undesirable effects for humans visually and potentially can be detrimental to health due to the bacteria and insects associated with birds and their nests. Pest birds can cause an number of problems, the obvious being fouling which can make buildings and pathways look untidy, pest birds also cause more sinister issues. Transmitting human diseases – such as Salmonella, Listeria spp. and Campylobacteria spp., which are all causes of food poisoning. 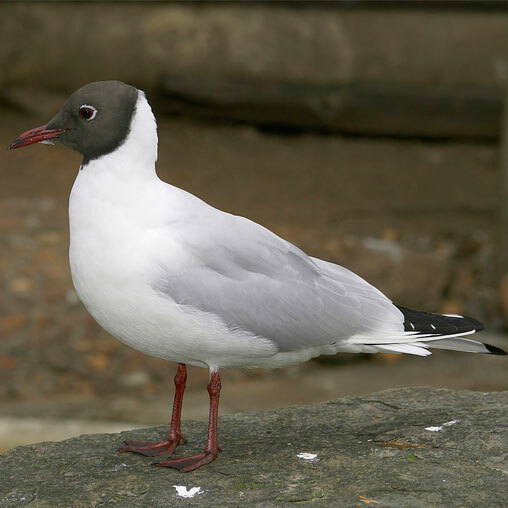 As well as the above pigeons also transmit Ornithosis which when caught is commonly misdiagnosed as flu. Insect Infestations – Bird nests support a large variety of insect life including blood-feeding insects, fabric-damaging insects, stored food pests and carrion feeding insects. When birds are roosting near human activity, insects can spread from the nest and carry a risk of disease and illness to any surrounding humans. Damage to Buildings and Property – Bird fouling not only makes buildings and property look untidy, but can also cause corrosion as bird droppings are very acidic, this can happen when flocks congregate on buildings and lighting stanchions. Bird nests often block gutters and downspouts which can then spoil the exterior of a building and more seriously, cause timber decay and structural damage. Aircraft Damage – Birds can cause severe damage to aircraft especially if they get sucked into the engine. Not only does this cause damage to the aircraft but could also result in the loss of human life. To achieve long-lasting control of pest bird infestations, access to the birds nesting, roosting and feeding areas must be denied, however this is not always possible as birds can be extremely persistent. 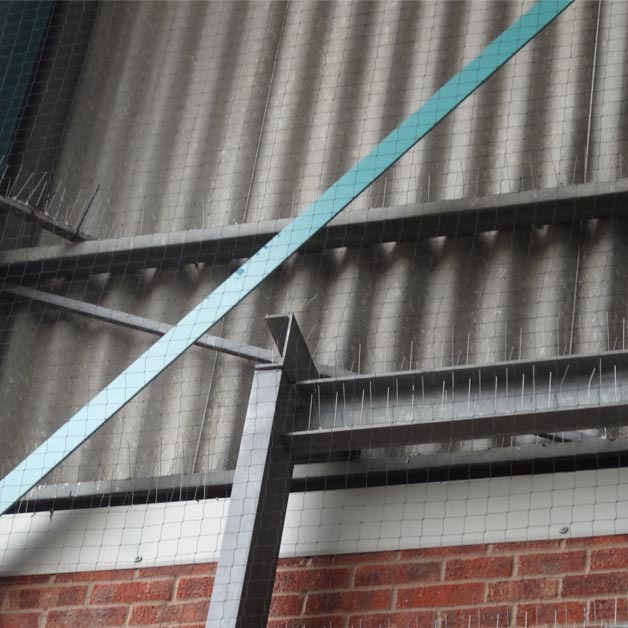 Installing Bird Net Systems – When installed correctly bird net systems denies the birds access to their nesting and roosting areas on buildings, ledges and other perches making these areas ‘bird proof’. Bird netting systems along with spike systems are favoured methods to protect buildings from all pest bird species. Installing Bird Spike Systems – Bird spike systems are both humane and effective as they deny bird’s access to ledges and roosting sites. Spike systems are strips of stainless steel spikes which are then adhered to ledges with a strong all-weather adhesive. There are various types of bird spikes available for different birds including – pigeon spikes and gull spikes. 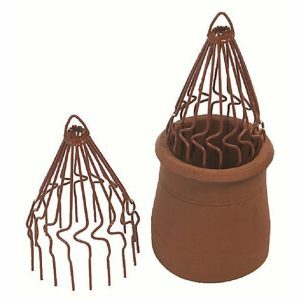 Chimney Guards – chimney guards are specially designed to keep birds from landing and perching on the chimney pot and nesting in the chimney itself. 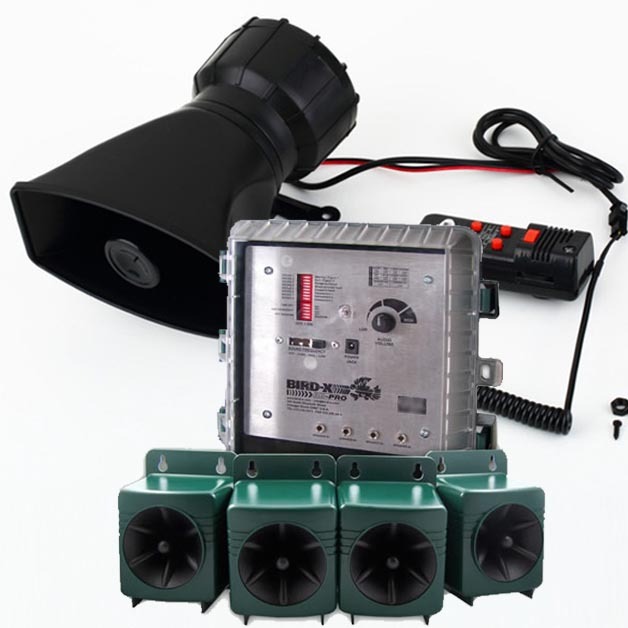 Bird Deterrents – It is not always possible to proof against pest birds, to resolve this we use a specialist bird repellent device containing audio, pneumatic and visual systems these are effective bird scaring systems. 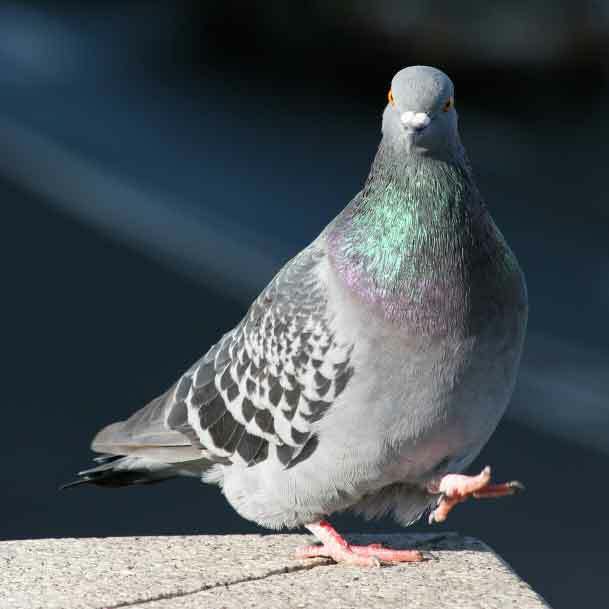 Bird Dropping removal – Pigeons and other pest birds leave unsightly droppings in areas where they are roosting. We offer a service to remove pigeon droppings, cleanse and sanitise the area. Suddenstrike Ltd has many years of experience in bird control and bird proofing, we have carried out many large projects including at Liverpool Airport, training facilities for large sports teams and for global companies. 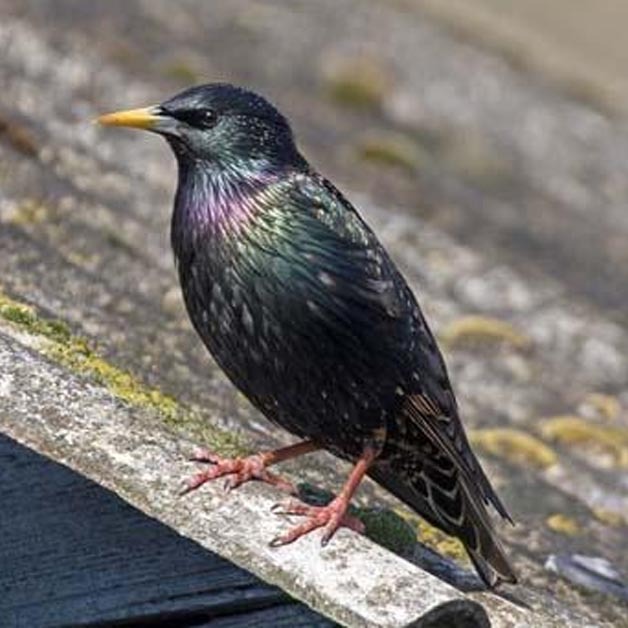 As well as commercial customers, we also provide solutions to domestic customers on a much smaller scale with birds nesting in the eaves of their property and to farmers where pigeons are eating crops and cereals. We offer tried and tested bird control and bird proofing solutions that works at competitive rates and installed by a team of dedicated professionals. 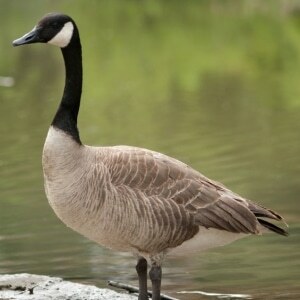 Bird control techniques and bird proofing techniques employed include installation of bird netting to buildings and structures, installation of bird spikes, bird trapping, Canada goose control through trapping and removal, acoustic bird scaring devices, and visual bird deterrents. So if you’ve got problems with birds in the eves of your property in Knutsford, Pigeons roosting in Northwich, Starlings fouling in Chester, Canada Geese in Macclesfield or Sparrows being a nuisance in Nantwich, we are here to help. * Please note that the majority of birds and their nests are protected by law with the exception of those named on the General Licenses issued by Natural England each year.